We are back from our trip to Jakarta. We had an amazing time there and managed to get done everything planned. Our priority was to meet with our interior designers. The meeting went well and we are very happy to welcome them on-board. Now decisions will be easier to make, counting on the support of someone who can safely sew together all our wild ideas. We also took advantage of this trip to visit Food & Hospitality Indonesia. This is a yearly event where everyone involved in the industry gathers to showcase their products and services. We were very interested in attending as Cuca will only use Indonesian ingredients so we welcome any opportunity to learn more about our options. Since some of the companies were selling their products at the expo itself, we bought some kitchen tools that we had not been able to find in Bali. Yes, the famous Jakarta “macet” (traffic jam). 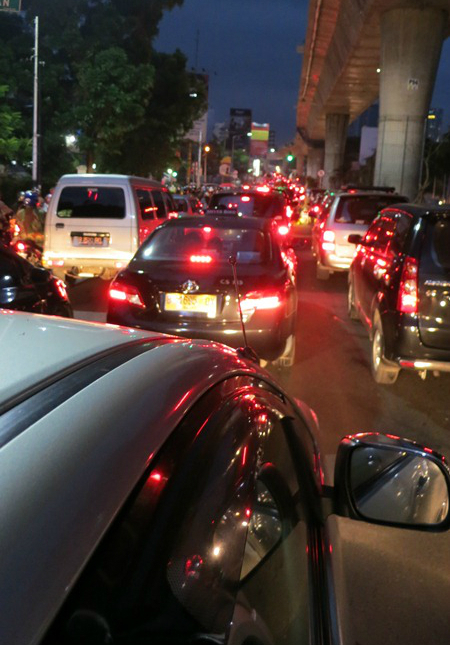 We had heard lots about it but this time we could finally experience it for ourselves… In Jakarta your life is planned around the traffic jams which often continue through the day. Travelling even short distances can take hours and some parts of the city are in a constant state of jam. The situation seems seriously critical. A 2007 study by the Yayasan Pelangi Indonesia, an environmental NGO, predicted that if nothing is done to improve things, traffic will grind to a complete halt by 2014. Can you believe it??? To ease the situation, the government has implemented schemes such as the “three in one”, which requires vehicles to have at least three passengers on busy roads at peak hours. However, Indonesians have seized the latent business opportunity and a new profession has emerged: “the jockeys”. These are hitchhikers who are taken at the beginning of the main roads, dropped at the end and paid to ride with single drivers who otherwise would not be allowed to use these roads. Despite this chaos, Jakarta is a very exciting city with a vibrant restaurant scene. We were especially impressed with the design of quite a few restaurants and we look forward to the next opportunity to go back, this time with a good book to combat the jam. Jakarta found its origin in the small early 16th century harbor town of Sunda Kelapa. The Dutch East Indies Company, which captured the town and destroyed it in 1619, changed its name into Batavia and made it the center for the expansion of their power in the East Indies. Shortly after the outbreak of World War II, Batavia fell into the hands of the invading Japanese forces that changed the name of the city into 'Jakarta'. It is located on the Indonesian island of Java. It is the capital and the largest city of Indonesia. The number of people residing in greater Jakarta is estimated at 23 million, making it the fourth largest urban area in the world. There are about 13 rivers flowing through Jakarta. The northern part of Jakarta is a plain land. Some areas here are actually below sea level and therefore subject to frequent flooding. Meanwhile, the southern parts of the city are hilly, and consequently designated for reservoirs. With a tropical climate, Jakarta's average daily temperature is 27 degrees Celsius during a day, sometimes exceeding 35 degrees Celsius in the hot season. It has two seasons: the wet season from October to April (with the heaviest rains falling from December to January), and the dry season from May to September. Most residents in Jakarta are Muslims, i.e. 85.50%. Other religious followers are Protestants (5.20%), Roman Catholics (4.77%), Buddhists (3.56%) and Hindus (0.97%). Jakarta is a city of contrasts: the traditional and the modern, the rich and the poor, the sacral and the worldly, often stand side by side in this bustling metropolis. 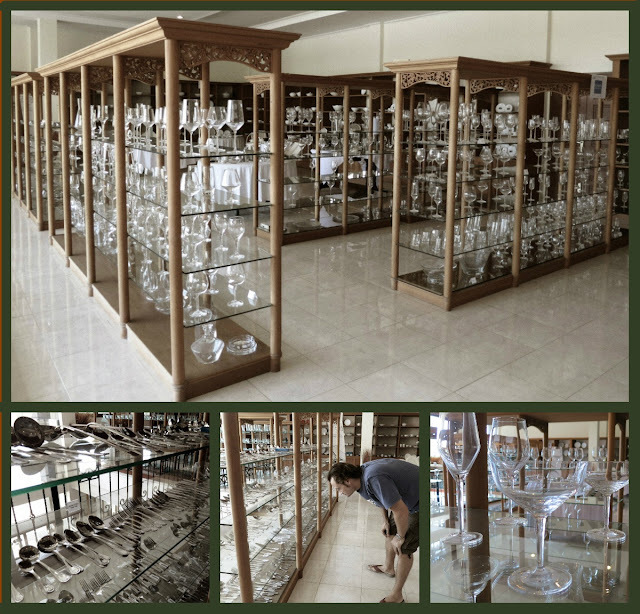 Our mission this time was to go through endless options and carefully choose the glassware where we will be serving our beverage and the weapons you will be given to attack our food. Then it was time to look for cutlery. We prefer a very simple, clean design. Something understated that feels great in your hand, easily grabs our food and goes well with the minimalistic design of Cuca. We have pre-selected a few options and we would love to know your opinion. Will let you know soon how to help us to choose! TAPAS • COCKTAILS • DESSERTS: Why? You will have already noticed from the tagline in our logo what our focus will be at Cuca. From the beginning we agreed on the importance of “concept clarity” and after endless discussions and loving arguments pondering our options, we decided on the three items we both love the most: tapas, cocktails and desserts. We want Cuca to be a place to share a great dining experience. As Charlotte Brontë wrote, “Happiness quite unshared can scarcely be called happiness; it has no taste.” This is precisely what we believe, that food is tastier when we share it with those we love. We want to make drinks as thoughtful and unique as our food and cocktails offer us huge room for creativity. Our cocktails will be bold, exciting, refreshing, playful. Flavor and balance will reign over anything else. As a form of cuisine in their own, we are developing our signature beverage in line with our style of food and coherent with Cuca philosophy. We want the artful blending of flavors in our cocktails to contribute to Cuca’s memorable and emotional experience. 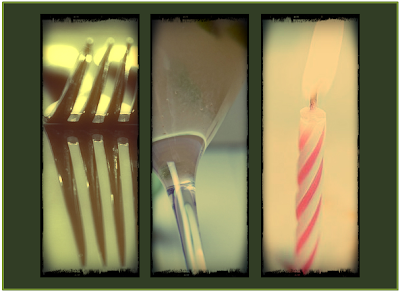 At Cuca we are determined to celebrate life, food and good company. And what kind of celebration is one without dessert? Our desserts will be mildly sweet, rather light but still heavily delicious. A well-crafted range of flavors to be enjoyed at any time and for any excuse whatsoever. Without wanting to reveal too much, trust me when I tell you that our selection of new sweet classics will definitely give you one more guilty reason to come back for more. Tapas, Cocktails and Desserts: three categories developed with the only purpose to ensure you feel spoiled. In Bali a child is believed to be a reincarnation of his deceased ancestors and is thus looked upon as a god. Offerings are made during pregnancy to ensure the upcoming god’s well-being and after birth the placenta and the umbilical cord (representing the child’s spirit guardian brothers) are buried in the family compound. The smaller the child, the holier he is and the closer to heaven. 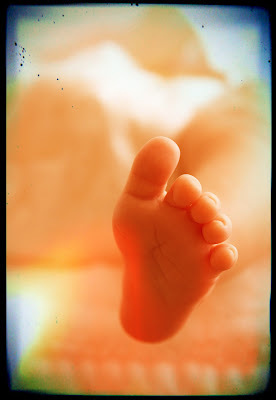 Babies are not considered to be “human” until they are 210 days old at which time a ceremony is performed, along with the necessary offerings. Until then they are called Idewa (”god”). Balinese believe that anything below (including the ocean) carries negative connotations and is an evil matter. This conviction cause them not to permit children to crawl on all fours, and before a child is three months old he may not even touch the earth and is carried everywhere. To make matters worse, the parents’ names change after the birth of each child. They instantly become called “Father or Mother of X”. Astonishingly, in Bali people are identified by their descendants rather than by their ancestors to reflect that time flows from the present to the future rather than from the past to the present. A child is never beaten as it is believed it will damage his tender soul or drive his soul from his body. He is not considered responsible for his actions because as they say “his mind is still undeveloped” and it is the god within him that acts through his body. At home there is no regular discipline and no pampering; the parents do not intimidate their child bur rather coax him into obedience as an equal. Nothing is hidden from children, they listen attentively to adult conversations and they know facts about which an adolescent in the West is totally ignorant. In line with this custom, babies are fed the Balinese peppery food as soon as they are weaned and will not touch food without spices. From the time the child can walk, he is left to himself and falls in the care of other children. Small girls know how to take care of babies with the same proficiency as their mothers and it is common to see babies carried on the hips of girls only slightly older. The sight of child crying is extremely rare. He learns early to be self-sufficient and is free to wander all over the village and to do as he pleases. Frequently the father more demonstrative than the mother and it is common to see a man with his child in his arms, taking him everywhere and talking to him as if he were a grown-up. A boy assists his father in the work at home and in the fields and cares for the cattle. Little girls learn from their mothers to cook, weave, thresh rice and make offerings. The independence and lack of pampering may explain the well-mannered seriousness and the self-sufficiency of these kids but if you are intrigued about the astonishingly well-behaved nature of Balinese children, I strongly recommend you to read The Continuum Concept by Jean Liedloff. This researcher visited Bali in 1992 and compared her findings from the Yequana people (in Venezuela) with the Balinese customs. Source: I learned so much partly thanks to Island of Bali, by Miguel Covarrubias, a highly recommended work that depicts in depth Balinese customs and traditions. Amed is a once-remote village on a beautiful bay in Eastern Bali with waters so clear that coral and fish can be seen with the naked eye. The pace of life here is slow and the coastal scenery stunning. This is the most recent tourist development area in Bali, now well known for diving and snorkeling. Although only a few years ago that it was a solitary village inhabited only by fishermen and sea-salt processors, nowadays tourism is growing and salt production is declining. We traveled here in search of the salt makers as we are developing a very special product derived from their crystals. 1. Take water from the sea and pour it into prepared soil fields. The salt workers carry the water in double-bucket shoulder poles. 2. Smooth the soil in the fields to allow even drying. Allow salt water to dry / evaporate for three days. 3. Rake the dried, salty soil paddies to break them up. 4. Put broken up soil into wood funnels. 5. Pack down the soil by walking on it inside the funnels. 6. Collect more sea water and pour it over the soil in the funnels. 7. Allow the sea water to seep down through the soil. This soil works as a natural filter. 8. Collect the filtered salty water from below the cones. 9. Pour this water into the drying trays (“palungan”) lined up in rows along the beach. 10. Allow to dry and evaporate for 3-4 days. The salt is then scraped out and put in baskets. This technique produces a lower yield than others but the result is a salt prized for its flavor. that caught our attention and trigger a new idea for Cuca. All we can say for now you will love our salty little plan. 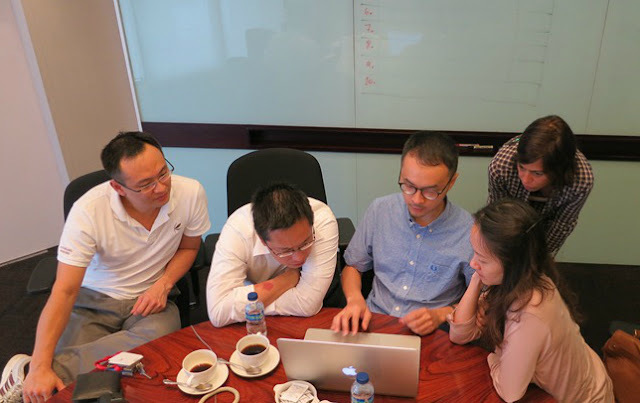 This week is being especially productive and it feels great to see we are definitely moving forward despite the relaxed pace of the island. 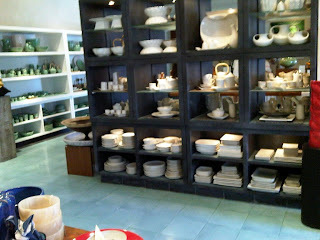 Our most recent achievement was to select the tableware for Cuca. Since the structure of our menu is finalized, we knew exactly what to look for. 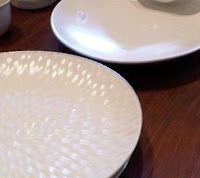 We had decided to use ceramic ware as it feels warmer and more organic, the precise sensation we want to convey. Furthermore, ceramic offers more room for creativity as it allows different texture, color, finish, shape, design and even engraving. Bali has quite a few artisan ceramic producers and we visited some of them to learn about their process, compare their styles and explore the possibilities of customizing our plates. Although it was difficult to choose a manufacturer based only on their stunning products, we needed flexibility as our quantities are quite low (we are using different plates to serve each dish) so we made up our mind and headed to Jenggala to start selecting plates. Jenggala has been established for more than 35 years and this is important as we need them to be around in the future for our yearly stock replacements. They work mainly with stoneware (high-fired at a temperature well above 2000 degrees Celsius) to make their products chip resistant and suitable for a heavy usage. We spent a whole day in their biggest showroom among beautiful pieces and endless options and at the end we left the shop tired but satisfied with our choices. Production will have to start soon as the factory needs at least 2 months to produce and deliver our plates. We are now waiting for samples and can't wait to see Kevin’s food on them! Once upon a time, the Balinese for food had only the juice of sugar-cane. Wisnu, the god of fertility and water, felt pity for them and came down and raped Mother Earth to fertilize her. She then gave birth to rice but this still did not solve the problem as rice was still unavailable to humans. Wisnu intervened once again and forced Indra, Lord of the Heavens, to teach men how to grow rice. This is the story of how rice was born, a gift from the gods of earth and water. Having such a dramatic origin, it is not surprising that life for the Balinese revolves around rice. The most memorable landscapes on the island are the gorgeous rice paddies and from planting time until harvest the growth of rice is watched with as much attention as that of a child. Bali’s scenery evolves regardless of the seasons with the life of the rice: from flooded fields reflecting the clouds, to jade colored freshly replanted shoots, to the swaying green or robust gold of a mature crop. Along this cycle men and women take specific turns: men plant it, women harvest it. Since a farmer is unable to build and maintain elaborated irrigation systems that compensate for the island’s mountainous nature, only through cooperation with neighbors have the Balinese become known as the most efficient rice-growers and recently been awarded UNESCO World Heritage Status for their “subak”, an extremely efficient use of irrigation water (read entry from Unesco official site). The "subak" is a communal association consisting of growers, tenants, and sharecroppers acting as a sort of local "water board," that controls the distribution of irrigation water and organize joint work projects to build and maintain dams, canals, tunnels and aqueducts. In existence in Bali since at least A.D. 896, the "subak" is also responsible for achieving optimal growing conditions and it reflects the philosophical concept of Tri Hita Karana, which brings together the realms of the spirit, the human world and nature (I will talk more about this concept in future posts). Although the majority of rice cultivated on the island is white, reddish-brown rice and black glutinous rice are also grown, and even yellow rice (dyed with the turmeric root) is produced on festive occasions. Rice is the centerpiece of every family’s meal in Bali: it is consumed for breakfast (boiled rice-flour dumplings sweetened with palm sugar syrup), for lunch (steamed white rice with vegetables and very little meat) and the leftover rice is often transformed into Nasi Goreng (fried rice with various savoury ingredients). In this island of Gods, man lives off rice and as legend states his body and soul are built from it. This explains the deep rooted reverence and respect Bali holds for its rice and its farming.